GM Design Solutions, A close friend of ours, contacted us regarding his youngest son who is off to Nepal for a 3 week expedition to Everest Base Camp. He was seeking sponsorship to help raise £4500 to cover the cost of the trip and some of his equipment. Organised by Walsall Academy, the trip aims to gain new experiences and challenges they have to tackle and overcome. A journey like this, for most of us, is a once in a lifetime opportunity, so naturally, we were happy to help. Setup and operated by Outlook Expeditions,they will guide the team up to the Everest Base Camp, a mere 5,300m up! 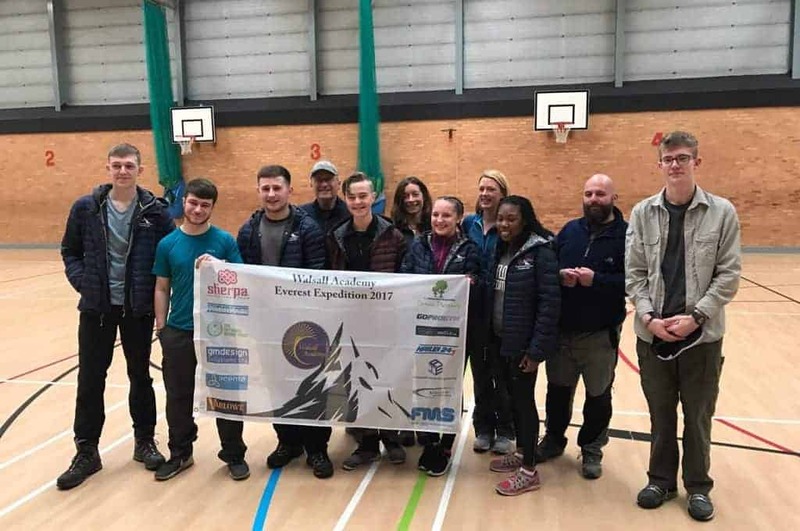 Over the 21 day expedition, not only will they see some breath-taking views, they will also visit local towns and take part in projects to help give something back to the community. Encouraging them to embrace new cultures, meet new people as well as gaining a huge sense of achievement.